This past Sunday was the first day of an incredibly important week in the Catholic faith. Sunday was Palm Sunday, the beginning of Holy Week. So, this week, we’re celebrating Jesus’s entrance into Jerusalem, the Last Supper, the washing of the feet, the Agony in the Garden, and Jesus’s Passion, death, and Resurrection. Sunday: Palm Sunday; the distribution, blessing, and procession of palms. Tuesday: Chrism Mass for the Diocese of Owensboro, KY.
Thursday: Holy Thursday; Holy Thursday Mass with the washing of the feet and Adoration following (parish). 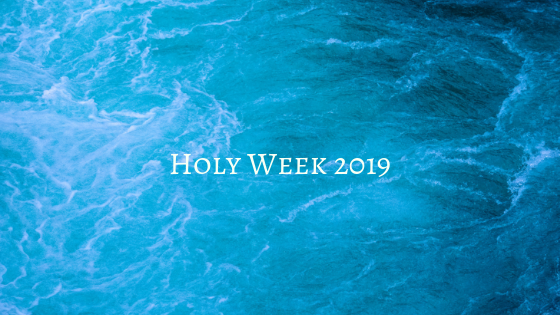 If you’d like to be involved in Holy Week this year, I’d recommend checking out what your parish, or local parishes, is/are doing to celebrate the week. I’d especially recommend seeing when the Masses/services are for Thursday, Friday, Saturday, and Sunday. Also, if you need to or want to go to Confession, I think this would be a good week to do so if you can! Have a good rest of your Holy Week, everyone!